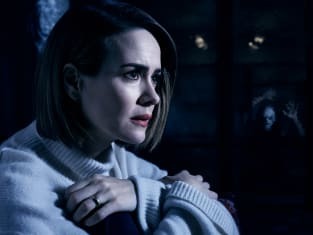 Ally Mayfair-Richards tries to survive American Horror Story: Cult. "Don't Be Afraid of the Dark" is the second episode of the show's seventh season. American Horror Story Season 7 Episode 2: "Don't Be Afraid of the Dark"
Vote Kai Anderson. Vote for the man who can take your fear away. They're out there. Permalink: Vote Kai Anderson. Vote for the man who can take your fear away. They're out there. I think there might be something wrong with me. I don't know what's real anymore. Permalink: I think there might be something wrong with me. I don't know what's real anymore.